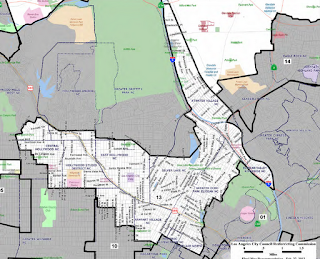 In the Curious City: Redistricting L.A. 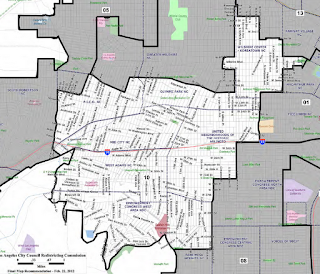 The City of L.A. is undergoing a redistricting process, and I'm pretty peeved at the way it's turning out. Nothing gets done. When you want something done (i.e. a new park, an anti-graffiti measure, etc. ), you have to talk to 15 different politicians and staffers from 5 different districts and then miraculously come to a consensus. Good look with the first part of that, and even more luck to you trying to create consensus between politicians vying for recognition, the biggest ego of the year award, votes, and money. It takes the notoriously slow bureaucratic process and slows it down tenfold. It also creates apathetic politicians who take neither the blame nor responsibility for a certain commmunity. Money money money. The money made in your community from taxes doesn't stay in your community. That's right - all the benefits of working hard and doing your duty are negated. Your money doesn't even help you, your kids, or your neighbor. Good bye money! (No wonder Koreans love tax fraud.) Also, when you want money for a project or program, you have to deal with Issue #1 again - consensus amongst multiple jurisdictions. It doesn't matter what level it is - city, state, or Federal. The community becomes disenfranchised. Breaking up a community reduces the powers that a united community can have. No voting power. No political power. No power in numbers. Progress has been made though. "This year, the greater Koreatown area was brought under one State Assembly district, one State Senate district, and almost completely within one Congressional district. 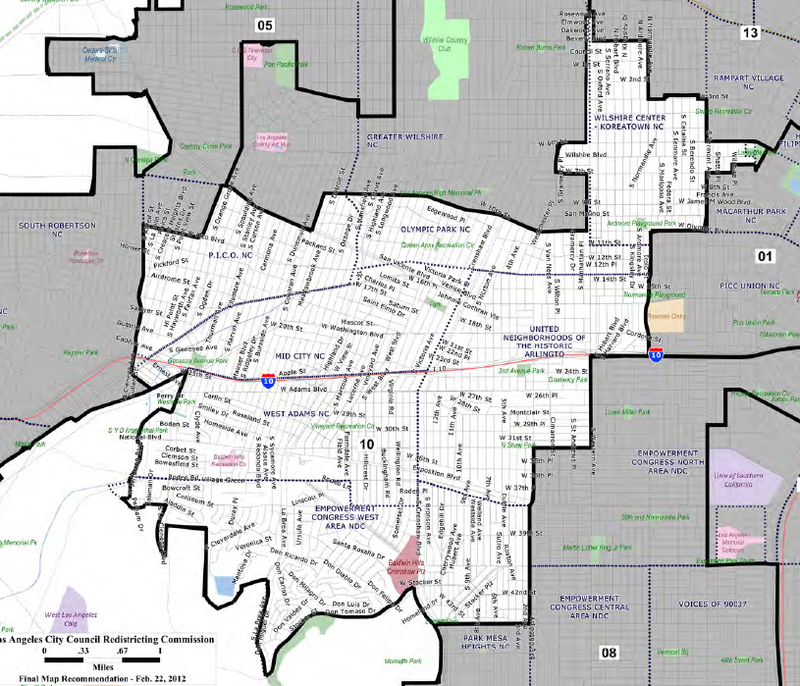 The Commission’s final certified district maps are scheduled to take effect for the June 2012 primary elections. (Source)"
Unfortunately, the City of Los Angeles Redistricting Commission didn't get the message. 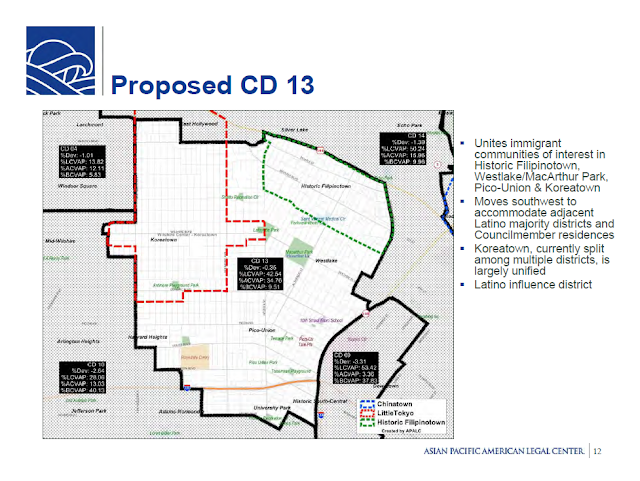 Their proposal for redistricting splits Koreatown into 2 pieces (more, in my opinion) and infuriates everyone. Tons of people spoke out, but the Commission didn't listen, did some stupid things like draw up the districts in secret, and split up Koreatown. Here is how people view Koreatown, and I agree more or less with the boundaries (not 100% bc I think it's larger than this). The final proposal (below) does not do any of this. So, people, myself included, are pissed that they didn't listen to public comment and they are perpetuating the prior issue of splitting up Koreatown. Some folks are even threatening to sue. Don't forget though, that the rest of Los Angeles is being redistricted. Check this cool LA Times interactive map to see your old vs. new district. What's not cool is that other communities like Little Tokyo (near and dear to my heart!) are being jerked around to a new C.D.